The N. American box turtles are some of the most beautiful turtles in the world. Unfortunately most pet box turtles die because owners are uniformed of their particular requirements. This highly praised manual addresses providing the proper husbandry conditions, feeding and breeding. Roger Klingenberg DVM covers the diseases and disorders of this species in great detail. A book that has saved thousands of lives. Philippe De Vosjoli Has written a long row of excellent best selling books on how to care for different type of reptiles. Most of these books have been excellent and this book is no exception. 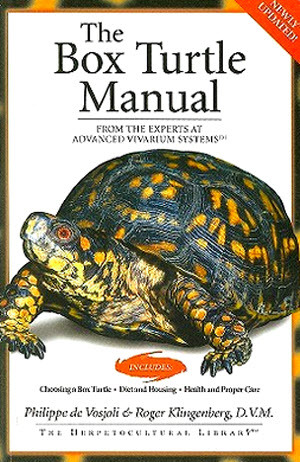 The box turtle manual is a excellent book that will teach you what you need to know to keep and care for American box turtles. This book does not include information about Asian box turtles. This one of the absolutely best books for anyone who want to know how to keep and care for box turtles. The book is regularly updated and new version is released. Make sure you buy the latest version of this book through a reliable source such as amazon. We highly recommend this book. It is one the best box on how to keep and care for American box turtles, Terrapene. 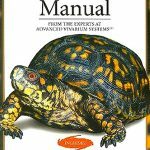 If you need a guide that will help you keep your turtle than this is a great option. This book can be bought from amazon. The only book that can match the standard of this book is Box Turtles by Tess Cook. Which one of these books to get comes down to personal preferences. They are both excellent and ideally you should get both of them. is this a free book? No. It is a review of a regular book available on amazon and in bookstores.